If you've ever watched I Am Legend or 28 Days Later you know that 1) there's something eerily fascinating about previously inhabited abandoned places, and 2) zombies are assholes. 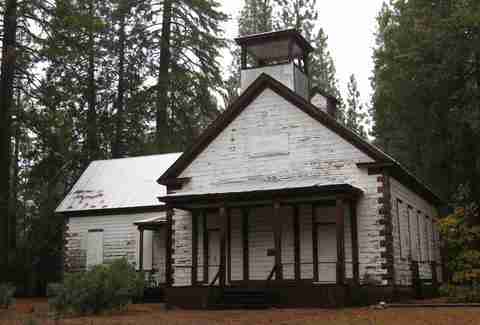 Providing you with all the eerie fascination you can handle, but none of the zombie dogs killing your German shepherd, here are the 13 most creepy abandoned places in California, a few of which are legally off limits, but a bunch of which you can visit. Just be sure to bring a chainsaw… you know, JUST in case. In the spring of 1905, the Colorado River flooded and filled an ancient dry lakebed with water creating a brand new lake that was named the Salton Sea. In the 1950s, the “Salton Riviera” became an incredibly popular getaway (more popular than Yosemite) where people went to swim and fish. Only problem? This accidental lake didn’t have an outflow, which meant no natural stabilization system, which meant it eventually became saltier than sea water, which meant almost all of the fish died, and then separate from that, the water receded and pretty much everyone fled the scene. 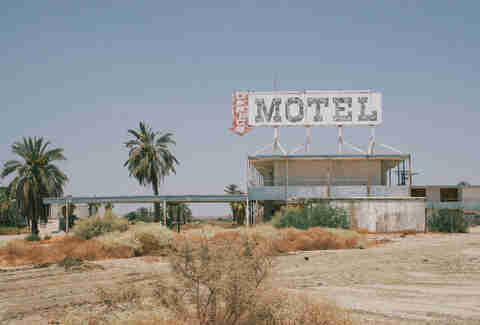 Now the beaches surrounding it are home to fish carcasses, boarded-up motels, and abandoned buildings. 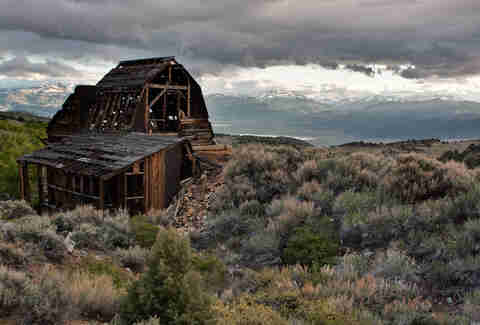 Basically, if you want to know what it will look like after the apocalypse, this is the only place you need to visit. 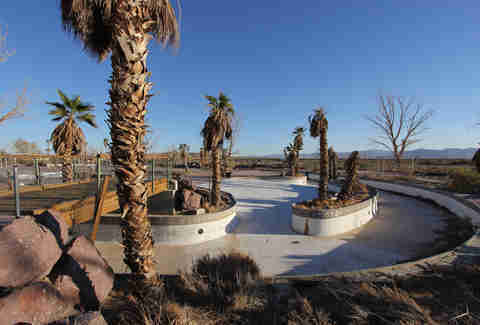 Californians love to ignore the fact that a desert is, by definition, a place that lacks water, which is why no one should be surprised that in the 1950s, someone built a private waterpark in the middle of the Mojave Desert for his family to enjoy. It opened to the public in the ’60s, but dwindling crowds forced its closure in 1990. That wasn’t the end of the water park where there’s very little water though. It reopened in 1998 after millions of dollars were spent adding tons of new features, but when an employee became a paraplegic from going down one of the slides and sued for millions, it closed for good. Now it’s totally abandoned… save for an insane amount of enormous cockroaches that call it home. North Bloomfield was original called “Humbug City” due to the fact that miners who settled there in 1951 did not strike gold. However, a few years later, hydraulic methods helped a second wave of miners to find enough gold to justify settling there. That’s when the post office said the town name had to be changed because there were just too many other towns named “Humbug.” The townsfolk went for Bloomfield next, but that was ALSO taken. So they threw a North in front of it. Turns out miners weren’t the most creative when it came to naming places, but that’s OK ’cause they were rich (hopefully). Eventually, thanks to lawsuits in 1884, hydraulic mining came to an end, and Humbug City Bloomfield North Bloomfield became an abandoned ghost town not much later. Today, the church, school, barbershop, fire department, and tons of other buildings remain standing, which makes this particular abandoned place feel like one where zombies are going to come out of the ground in the cemetery (which, yes, is also still there) at any minute. Mystery abounds when it comes to the Chemung Mine's sordid past. What we do know: 1) It served the town of Masonic (basically as far east as you can go from the Bay Area before you hit Nevada) from 1909 to 1938, 2) its owner was allegedly thrown into a mine shaft for cheating his employees, and 3) his ghost is not super happy about it, though he seems to save his rage for Saturday nights. It’s also easy to access if visiting abandoning mines is your thing (you can even crawl through some of the tunnels), just be careful not to fall into any open shafts. In 1923, a really kind psychiatric nurse who didn’t like how mentally ill patients were being treated in state-run asylums decided to build her own sanitarium for women with mild mental and nervous disorders. 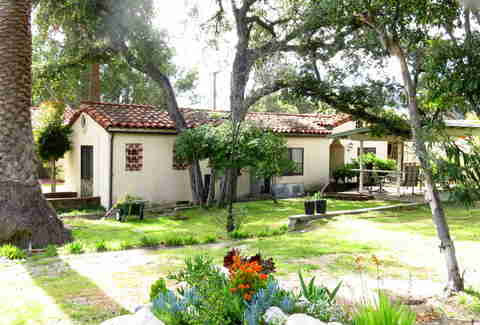 Over the years, the sanitarium was a refuge to residents like the actress who played Glinda the Good Witch and Marilyn Monroe’s mother. Later, it became a home for elderly women with dementia. However, in 2006, it was shut down and sold to developers who wanted to build condos. 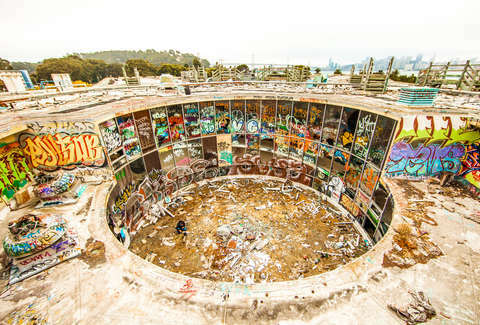 Luckily, the community was like, “No way,” and got it on the National Register of Historic Places, and though eventually it may be turned into a public park, for now the 15 buildings and garden sanctuaries sit totally empty. Located off the California coast between SF and Santa Cruz, the nine-acre Año Nuevo Island -- which was abandoned as a light station in 1948 -- is still home to the old lighthouse keeper's quarters. 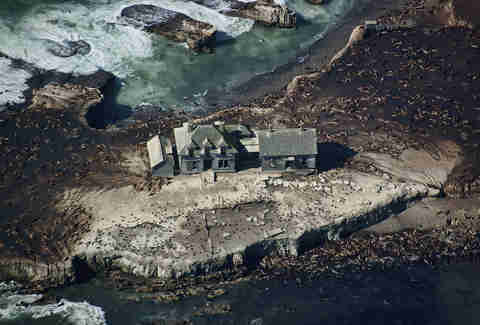 The original lighthouse, however, was purposely toppled in the aughts as it began to deteriorate and become a possible hazard to hundreds of northern elephant seals/endangered sea lions that now call the island home. 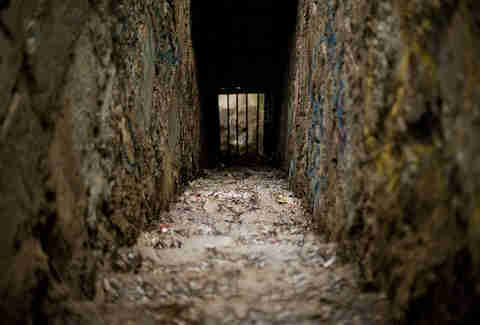 Oh, and before you think about urban exploring this thing, you should know that it's closed to the public. And, because there are so many seals/sea lions, great white sharks are frequently spotted patrolling the waters surrounding it. 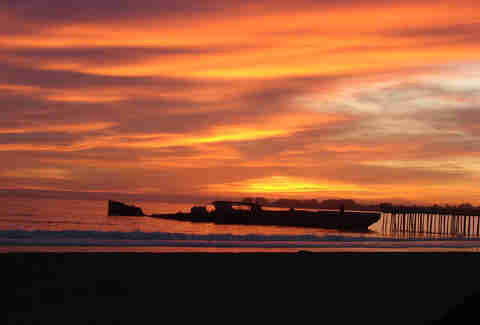 Launched in 1919 (too late to see service in WWI) and retired just 10 years later, the SS Palo Alto was a concrete ship that was supposed to serve as a tanker, but after being mothballed it was instead towed to Aptos where the Seacliff Amusement Corporation built a pier leading out to her and refitted her as an amusement ship, with amenities including a dance floor, a swimming pool, and a café. In 1931 they went bankrupt, the ship cracked in its midsection, and she was stripped of all the fun stuff and left as the weirdest fishing pier in the state. As abandoned ships tend to do, it deteriorated over the years, but winter storms in 2016 and 2017 pushed the wreck on its starboard side, broke its rear half open, and tore the stern off. Still, though humans can no longer dance there, it acts as an artificial reef for marine life who go there to hang out with friends and, uh, feed on fish and stuff. 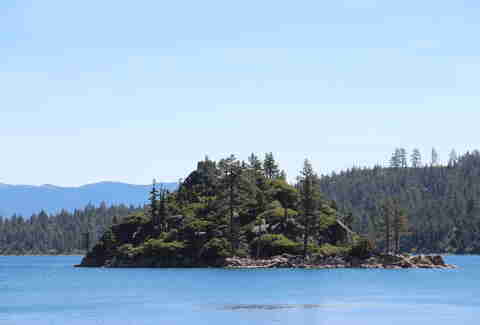 The only island in Lake Tahoe, Fannette still houses the stone shell of a one-time tea house built in the late 1920s by Lora Knight, the clearly super-rich lady who owned Vikingsholm -- a 38-room castle along the Emerald Bay shore. According to the California Department of Parks and Rec, "after being transported to the island by motorboat, Mrs. Knight and her guests would occasionally be served tea there. A small fireplace in the corner and a large oak table and four oak chairs in the center of the 16-by-16-foot room gave it a very rustic appearance." 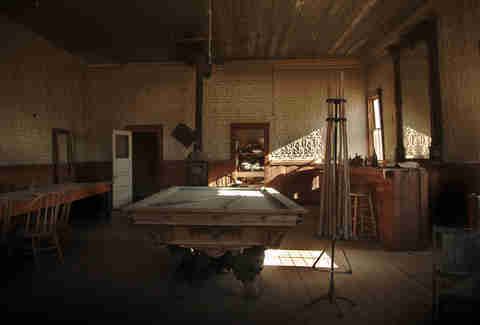 In 1880, Bodie was California's third most populous city. Third guys, third. Today, it has a population of zero -- the one-time mining town turned ghost town was mostly deserted in the 1920s due to terrible weather (100mph winds and every-month-of-the-year frost) and totally deserted in 1932 following a massive fire. One hundred structures still remain, including the old general store, the Methodist church, a saloon, a bank vault, and the cemetery. It’s now a National Historic Landmark and state park and you can pay $5 to check out the town, preserved in a state of arrested decay. 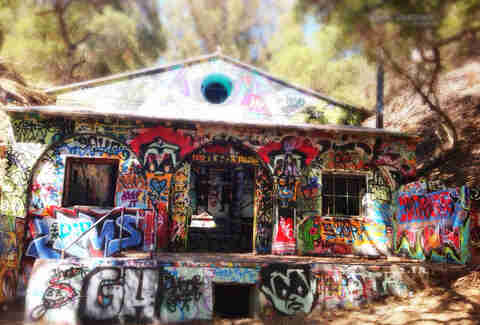 One of the seven best secret hikes in LA will lead you to Murphy Ranch, an abandoned Nazi compound built in the middle of the mountains by some super-smart dudes who thought Germany would win WWII and come take over America. 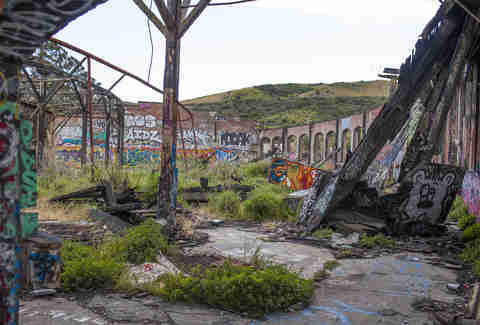 Fifty caretakers were arrested by local police in 1941 the day after the attack on Pearl Harbor, and as of 1990 it was completely abandoned, leaving your inner Indiana Jones to geek out over engine parts, crumbled huts, and even an overturned '40s VW Bus. 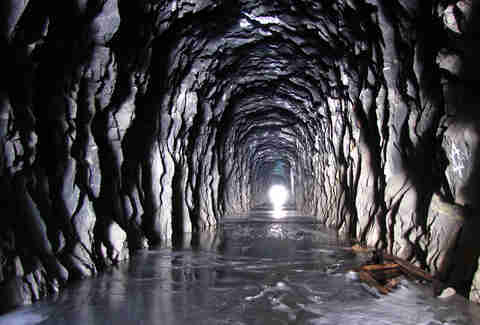 The first railroad line to traverse the Sierra Nevada range, this nearly 1,700-foot tunnel was completed in 1867 by Chinese workers and the first train passed through it in 1868. The last train passed through in 1993 when the route was changed to a new location that looked nowhere near as cool as this. Today, you can hike through them and see petroglyphs, the historic 75-foot hand-built Chinese Wall, and lots and lots of graffiti. Grant Marek is Thrillist's senior cities director and he totally wants to kayak out to the tea house the next time he's in Tahoe. Follow him on Twitter to more cool abandoned stuff at @grant_marek. Daisy Barringer is a freelance writer in SF whose dream road trip destination is Bodie, California. Follow her on Twitter @daisy.